Yes, please sign me up to receive the MooGoo MOO-sletter! You'll now be among the first to receive special offers and hear about the new stuff we’re working on. 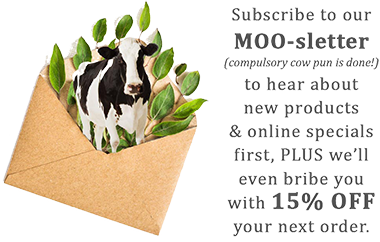 We'd be over the MOO-n if you joined us ♥ (Please note that you will first receive a confirmation email to confirm your subscription) - Keep an eye on your inbox for a special offer! You can also login with your Facebook account!